200 more arriving 26-Apr-2019 eMail us to reserve stock. 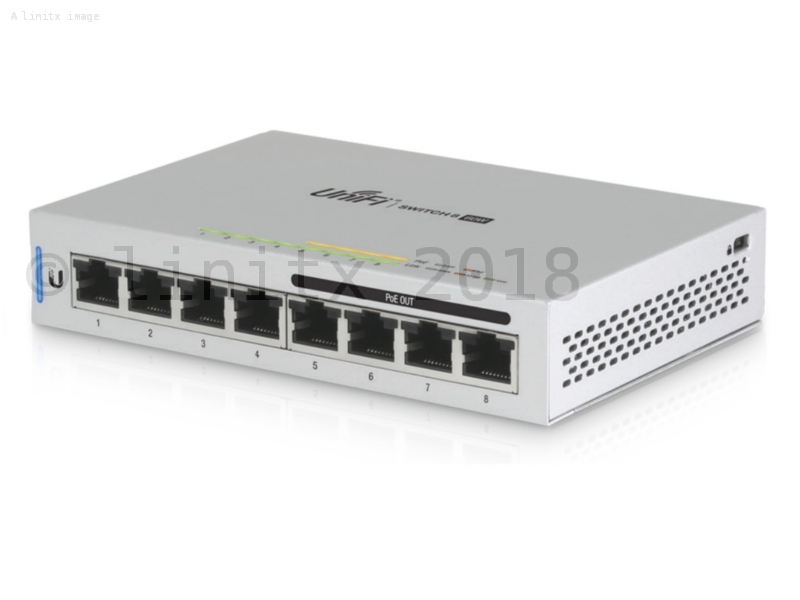 The Ubiquiti Unifi 8 port 60W Network Switch (US-8-60W) features 8 x Gigabit Ethernet ports, offering up to 8 Gbps for its total, non-blocking throughput, and a switching capacity of 16 Gbps on all ports at line rate without any packet loss. Its fanless cooling makes it super quiet for setups where noise is a consideration. 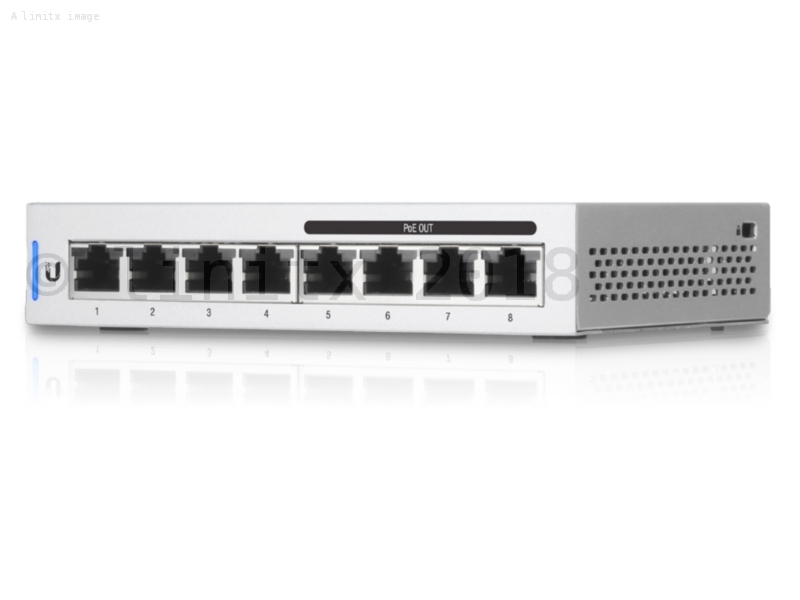 The US-8-60W is a fully managed Gigabit switch, offering 4 x 802.3af PoE ports, each auto-sensing port is capable of delivering 15.4W of power to connected PoE devices. It also offers PoE passthrough, ideal for adding Ethernet ports where needed. This 8 port UniFi switch with Gigabit Ethernet ports is presented in a compact form factor. All switches are fully manageable, offering intelligent switching and robust performance for your networking requirements. 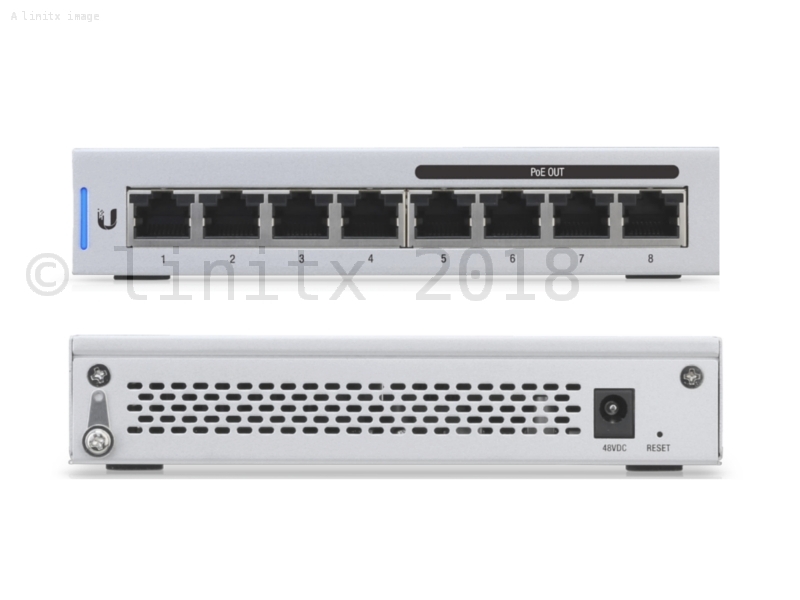 LinITX also offer the non-powered UniFi US-8 Network Switch, which can be powered by 802.3af/at, 48V passive PoE, or the included power adapter. 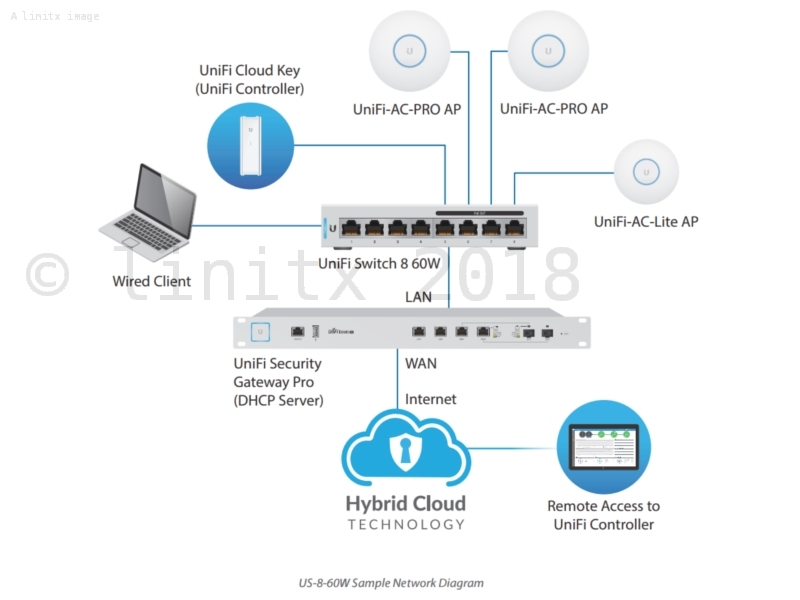 For more advanced options and alternatives, LinITX.com also offer a comprehensive range of Ubiquiti UniFi Network Switches on our website. Fantastic switch - not the cheapest but 'just works'..... plugged it into the network, powered up and used the Unifi controller to adopt the unit. Then plugged in a couple of PoE Unifi APs, the TV and NAS box - all worked perfectly from the start. Excellent bit of kit - great build quality and the software gives so much info on how your network is running, who is connect, where and for how long. Brilliant! Works really well, although it does seem to run a bit hot. Still no problems so far. These switches are admittedly expensive, a good 50% more than say a random tplink/netgear 8 port/4poe switch. They only offer 802.11af, and not the newer at or the 24v Passive standard used by some Ubiquiti kit. However, they are solid switches, the unifi integration is awesome, the configuration and monitoring very powerful. This product is supplied with both an EU and Uk power adaptor. Excellent, helpful customer service. Would most certainly use again in the future.